We Are AA Promotional Products. Based in Northern Ireland, but serving the entirety of the UK and Ireland. We produce and supply high quality branded merchandise for companies and individuals. 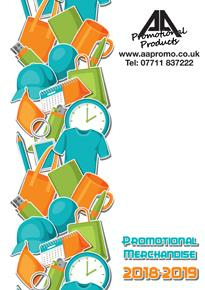 With over 20 years’ experience within the promotional product sector, our knowledge and extensive network allows us to produce the highest quality promotional merchandise at the lowest price. We want your promotional merchandise to grab the attention of the audience, to shout your message out loud and to demand the attention of everyone in site. Our large range of quality items include corporate gifts, employee uniforms and merchandise, and much much more. And our list of items is by no means exhaustive, we will endeavour to source any specific items you require, working with you to ensure your needs are met.